Cute and creepy at the same time! 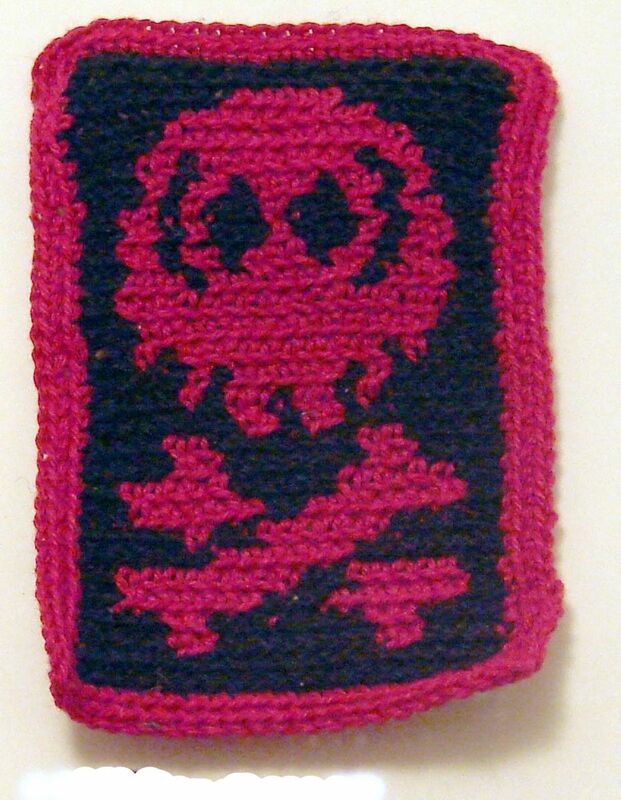 Sew this patch on your favorite hoodie and give it some extra character. It also looks fabulous on sweaters, backpacks, or a dinner jacket. Designed and crocheted by Whatever Works. I used a technique that keeps the front of the stitch always on one side. This takes a little time, but it adds to the clarity of the design. No new materials were used to make this patch. Sustainable and adorable! Do you like the design, but want it in a different color? Send me a convo! Dimensions: approximately 2 1/2" x 4"